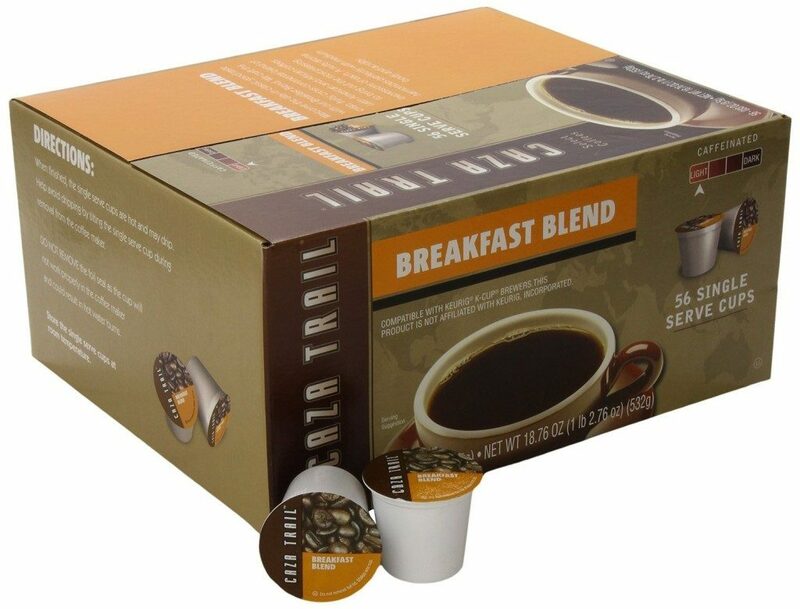 Caza Trail K-cup Brewers, 56 Count, Only $14.18 Shipped! You are here: Home / Great Deals / Amazon Deals / Caza Trail K-cup Brewers, 56 Count, Only $14.18 Shipped! Head over to Amazon and get the Caza Trail K-cup Brewers, Breakfast Blend, 56 Count for just $15.50 after clipping the 30% off coupon and selecting Subscribe and Save. Or, if you subscribe to 5 or more items in one month, the price will drop to $14.18!! Pack of 56 single serve cups compatible with Keurig K-Cup Brewers.